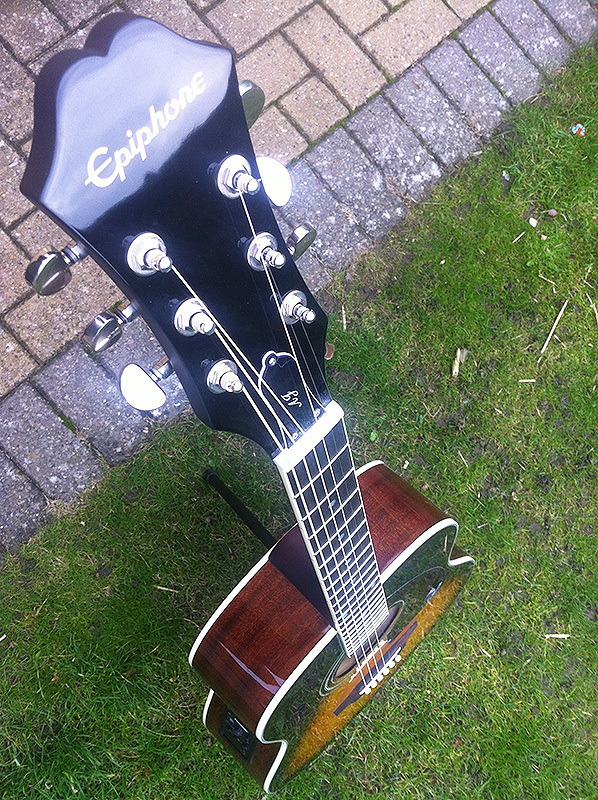 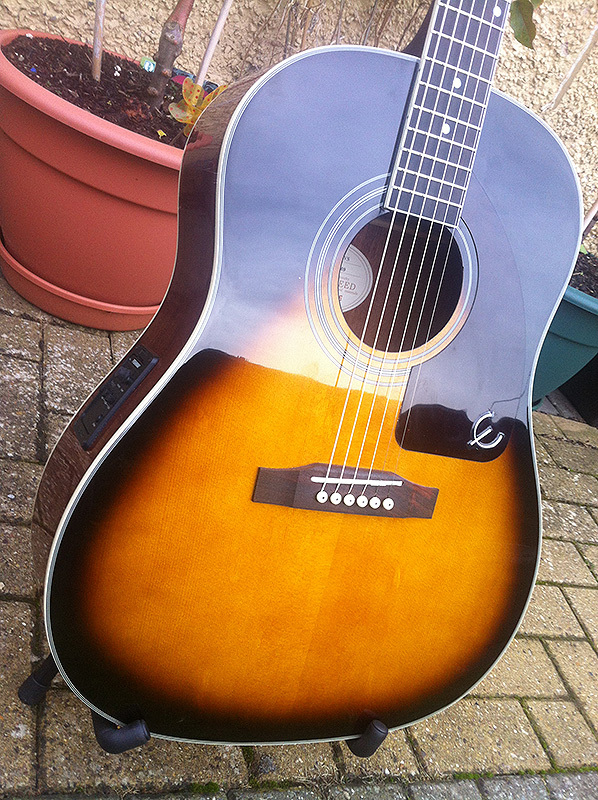 Here’s a few photos of an Epiphone AJ220 pickup installation a I did. 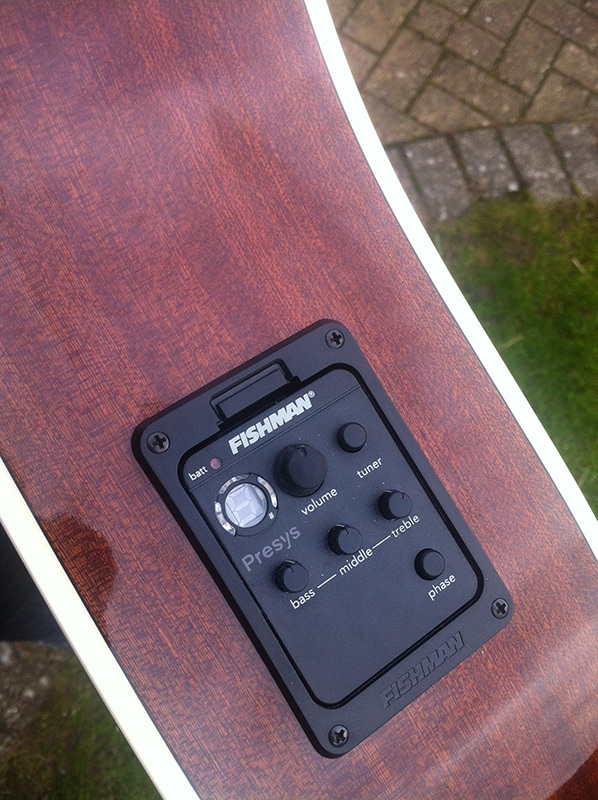 The pick was a Fishmam Presys system with EQ box, pickup and end-pin jack. 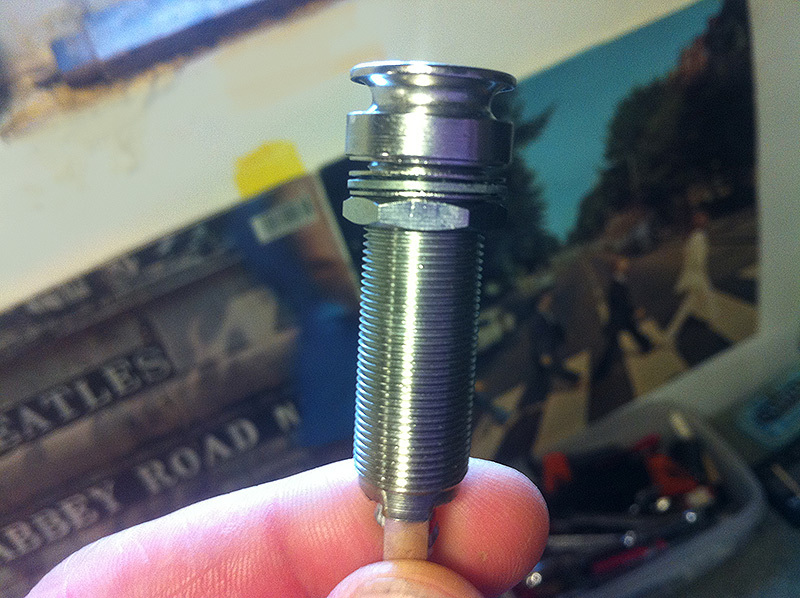 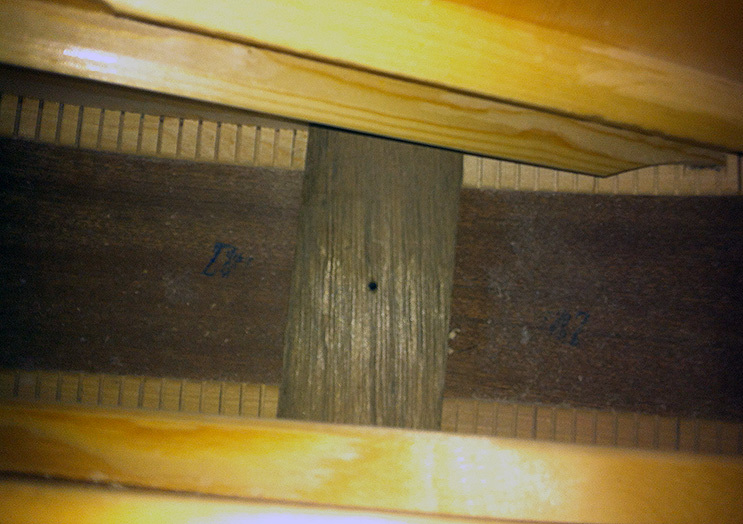 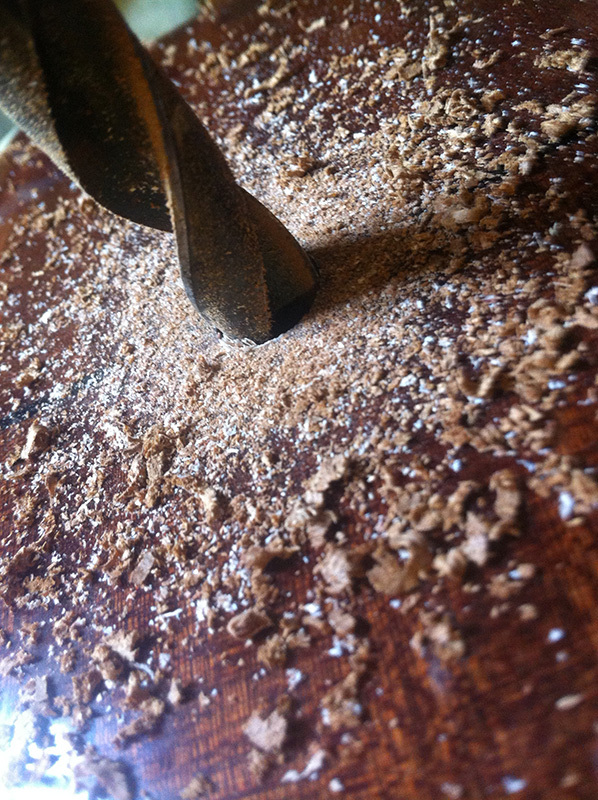 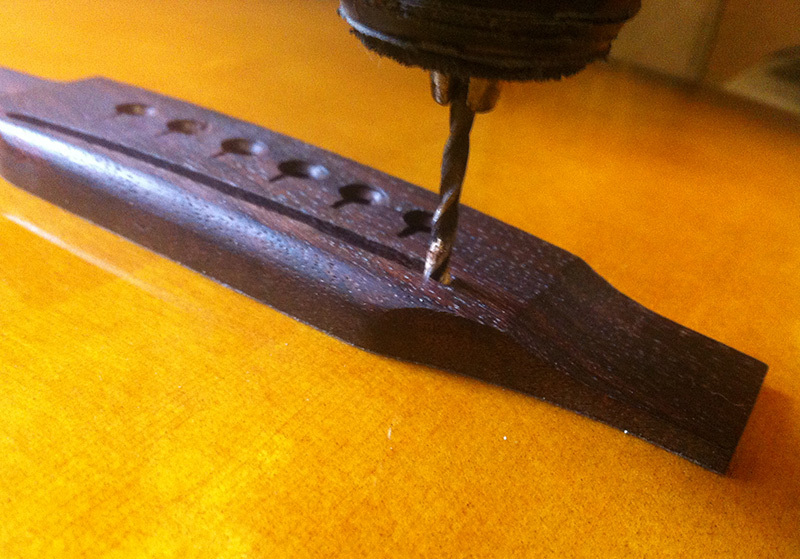 Drilling bridge hole for pickup wire in saddle slot. 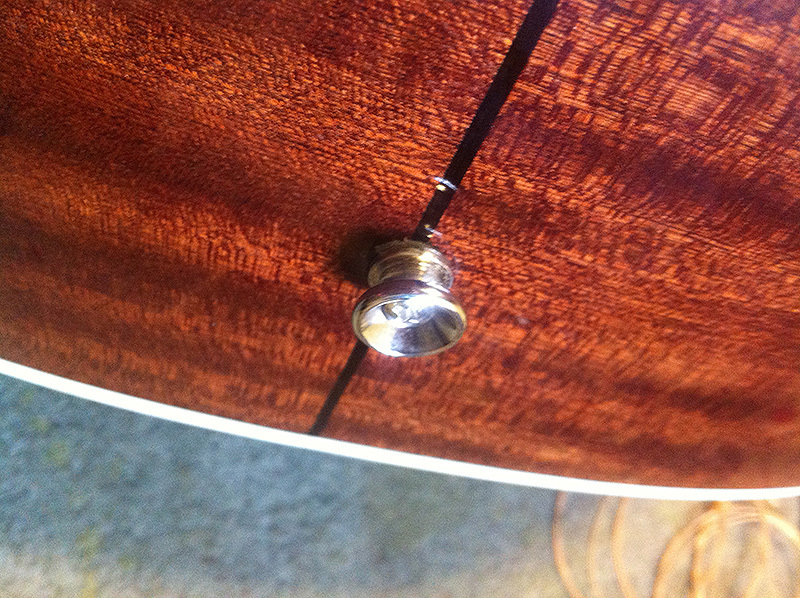 The Fishman Presys system has and end-pin jack that requires fitting where the existing strap button resides. 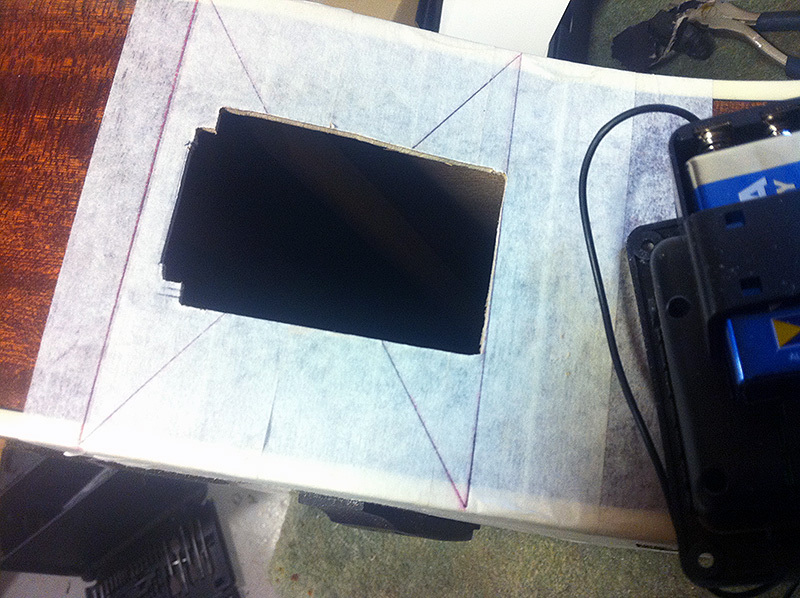 Here I have marked out on the side of the guitar the hole necessary to accommodate the EQ box.